New information available in "Abstracts & Focus topics & Publication"
Papers, presented at ISARS'2016 will be published after the event by IOP Conference series: Earth and Environmental Science - https://isars2016.conferenceseries.iop.org. More details are given under the "Abstracts & Focus topics & Publication" menu. This year's symposium will be hosted by the National Institute of Meteorology and Hydrology, Bulgarian Academy of Sciences. It will be convened in oral and poster sessions. Companies developing remote sensing technology are welcome to participate and exhibit their instruments. Online Proceeding with the IOP Conference Series: Earth and Environmental Science are planned. 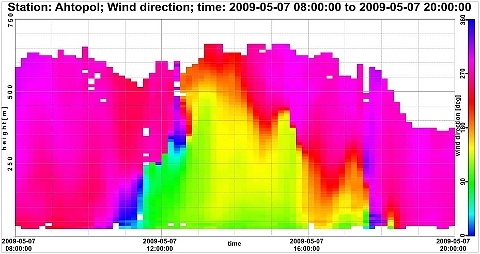 For convenience of the participants, ISRAS2016 is collocated with two tematically related to it international events: DTU PhD Summer School on "Remote sensing for Wind Energy" and COST ES1303 TOPROF meeting to be carried out at same location during the week before the Symposium. ISARS2016 will be held 6-9 June 2016 at Riviera Holiday Club, Golden Sands Resort, Varna, Bulgaria. The Management Committee and Work Groups Meeting of COSTES1303 - TOPROF "Towards operational ground based profiling with ceilometers, doppler lidars and microwave radiometers for improving weather forecasts". The logistics for all three events is provided by The Company for International Meetings (CIM). For details, visit the "Location & Accommodation" menu. The COST Action ES1303 – TOPROF (Towards Operational ground based PROFiling with ceilometers, Doppler lidars and microwave radiometers for improving weather forecasts) is covering many of the topics of ISARS and will organize in addition a session on the particular achievements of the Action at ISARS2016. DTU Wind Energy is performing basic and applied research, as well as teaching university courses on the use of ground based remote sensing technology for renewable energy applications. DTU will organize the PhD summer school on Remote Sensing for Wind Energy week before the ISARS2016 at the same venue. Reviewing and revising papers from April, 15th, till May, 15th, 2016. Online IOP Proceedings by June 1st, 2016. Early registration by April 5th, 2016.